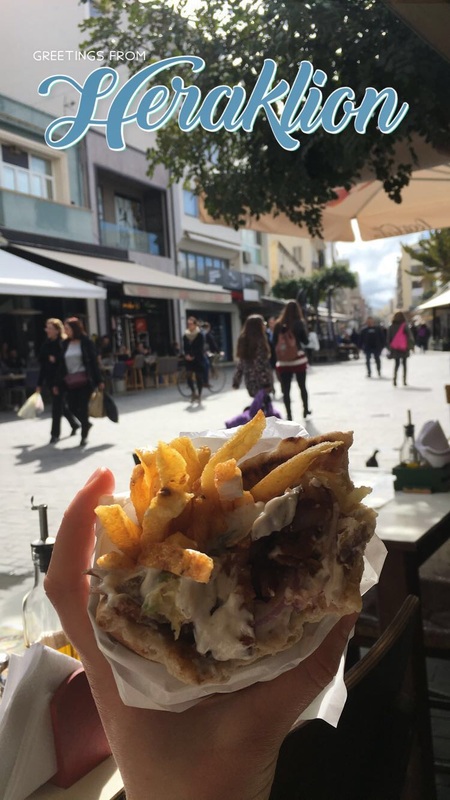 Kalimera / Kalispera (depending on your timezone) everyone ! So, what exactly happened this week? Read on !!!! 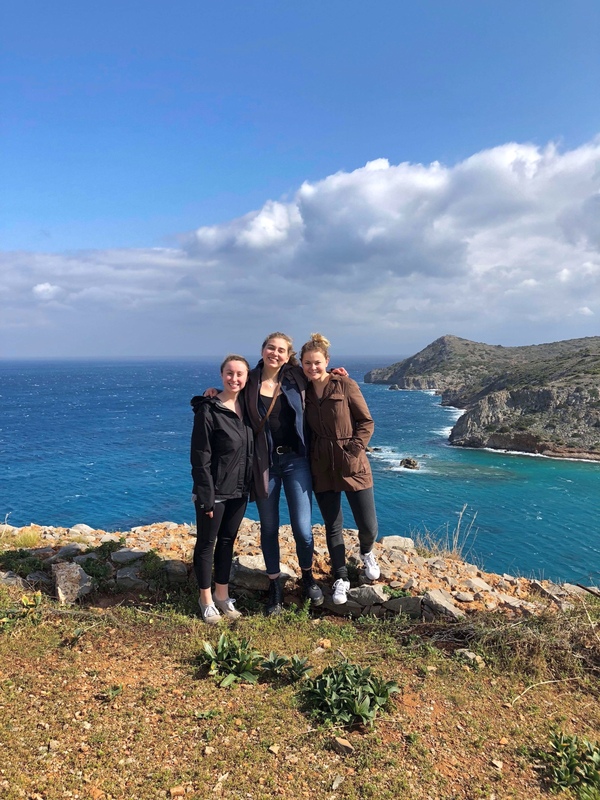 After settling in, we were taken to eat a feast of traditional Greek cuisine that never seemed to end (one of the best meals of my life), and, the following day, began classes and excursions. We’re currently taking three classes, all based out of the College Year in Athens (CYA) campus: the first is a basic Greek language crash-course, where we’ve started learning the alphabet and some useful words / phrases for everyday interactions; the second is a research methods course, which provides us with tools to conduct primary research; the third (and most interesting) focuses on the Greek financial crisis. 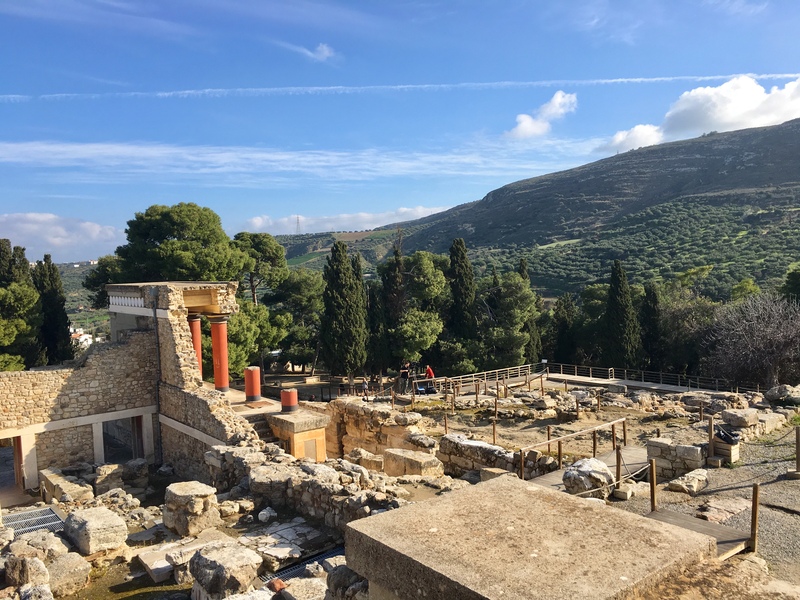 Athens is beautiful — the orange trees that line the streets are so picturesque it hurts — but the really remarkable part of this first week started the moment we left Athens and embarked on our excursion to the island of Crete. I’m gonna skip over the beautiful overnight boat ride (titanic-like, minus the sinking part), the first museum visit (very informative! 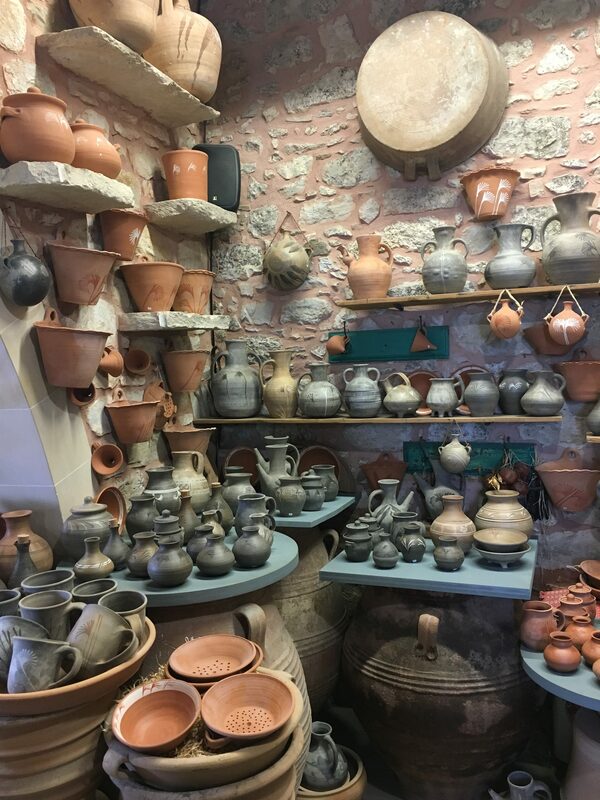 ), and the market scene in downtown Heraklion (fun, crowded, cheap, unique, beautiful) and jump right into DAY 2 of Crete. Day 2 is when things really got interesting. The day began with the usual 7:30am wakeup call, quick breakfast, and hurried entry of the bus. Here “usual” should not be confused with “natural” or “easy,” as it was neither of those things and was in fact an “unnatural” and “hard” wakeup. But we made it on the bus and settled in for what would be one comically uncomfortable journey. Now, I don’t want to brag, but I consider myself a kind of pro roadtripper. I’ve experienced some long, hot, carsick, boring drives in my day, and I can handle it. This drive was only two hours long, and yet, reached a whole other level of discomfort. The fact that I was sitting in the back of the bus was already rough; however, it would have been manageable had the drive not been the windiest, hilliest, rollercoastiest journey imaginable. My usual trick of watching the road to avoid nausea was rendered ineffective due to the impenetrable fog that surrounded us as we rose, fell, and spun on the road up a huge mountain. Somehow, we reached our destination without any emergency pullovers to the side of the road. 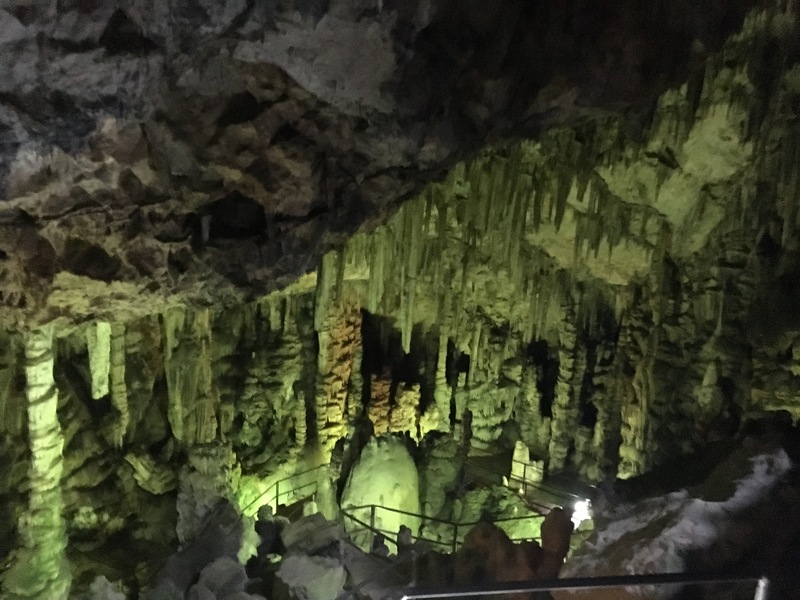 We were headed to the cave in which Zeus Himself was born. 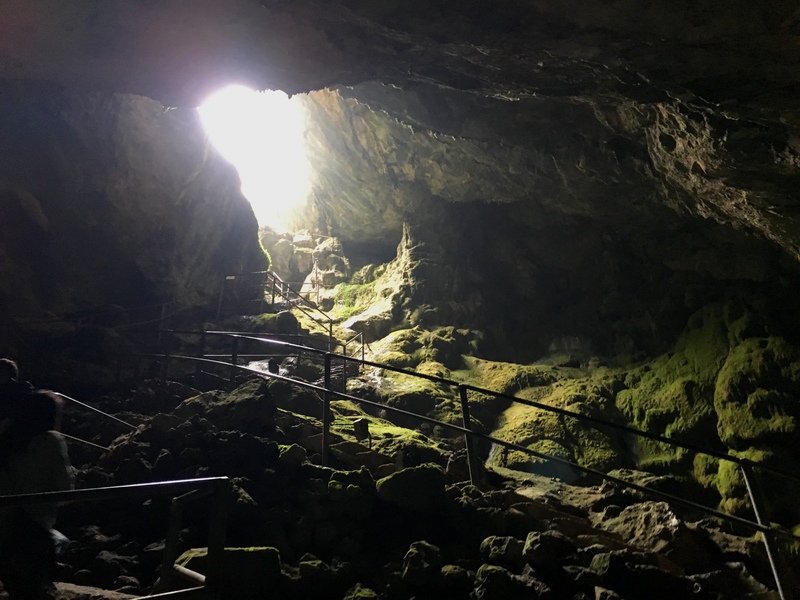 A 15 minute hike to the top of the mountain led us to a very long set of stairs that descended into a very large, very deep cave. This place was SOMETHING. 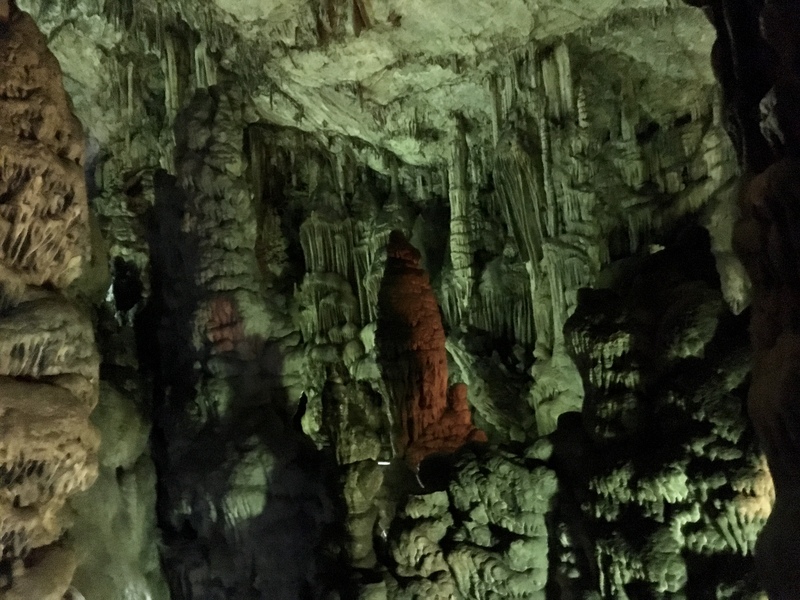 The tall ceiling and meandering floor of the cave were covered with massive collections of stalactites and stalagmites, producing a surreal and almost supernatural atmosphere. 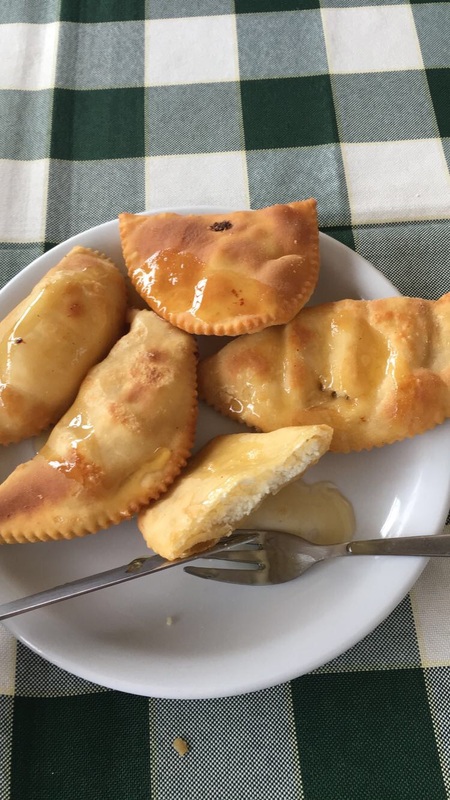 We climbed up and out of the cave, and hiked down to a cafe where we were served a “snack” I’ll never forget: fried feta cheese pies covered in honey. We had apparently all forgotten that, in order to leave this mountain, we would have to experience the “bus drive from hades” (get it ???) again, because we each ate at least five of these ultra-rich pastries. It wasn’t until we returned to our seats in the bus that we realized what a bad decision that was. Needless to say, the bus ride back down the mountain was significantly more difficult than the ride up. One of the guys even had a small plastic bag on his lap ready to go the whole time, just in case his stomach decided to give in to the excessive nausea-inducing conditions of the journey. Despite — and, in fact, due to — the fact that half of us were ready to throw up, we couldn’t stop laughing. The combination of factors — the bus, the winding road, the fog, the fried cheese / honey combo — contributing to our collective queasiness was so exaggerated it almost seemed planned. To top it off, our next activity of the day was a boat ride to a nearby island. Amazingly, we reached the dock without ever having to use the little plastic bag. The boat ride turned out to be anything but uncomfortable; this was actually the end of the upset-stomach-phase of the day and the beginning of my favorite part of this entire trip. 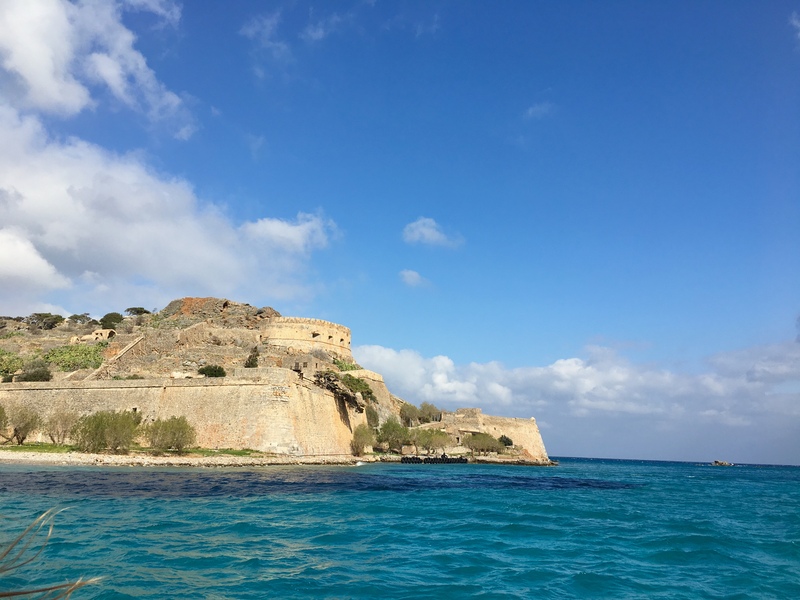 A five minute ride through the clearest and most turquoise water I’ve ever seen took us to the tiny island of Spinalonga. 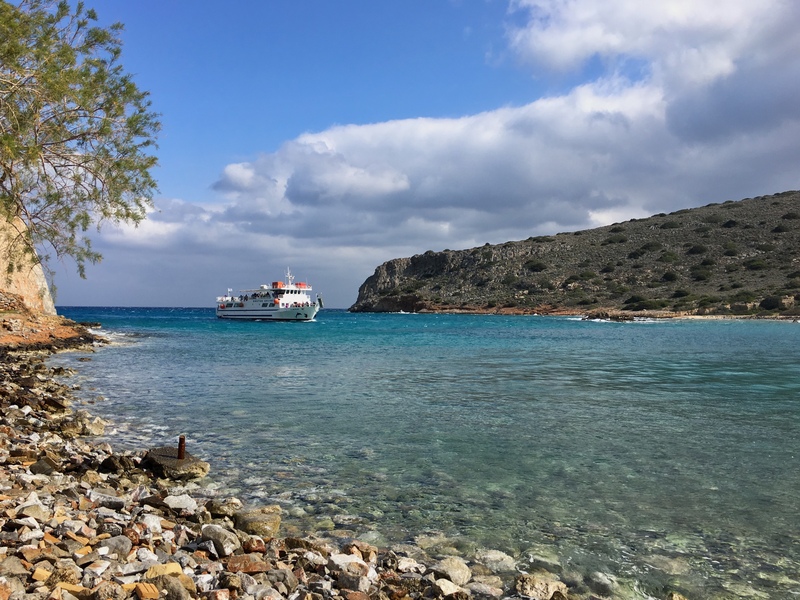 Thanks to our wonderful guide, Hüseyin, we learned that this island was once used to quarantine people with leprosy. For us, though, this beautiful, crumbling fort represented only the coolest playground ever which we explored at liberty. 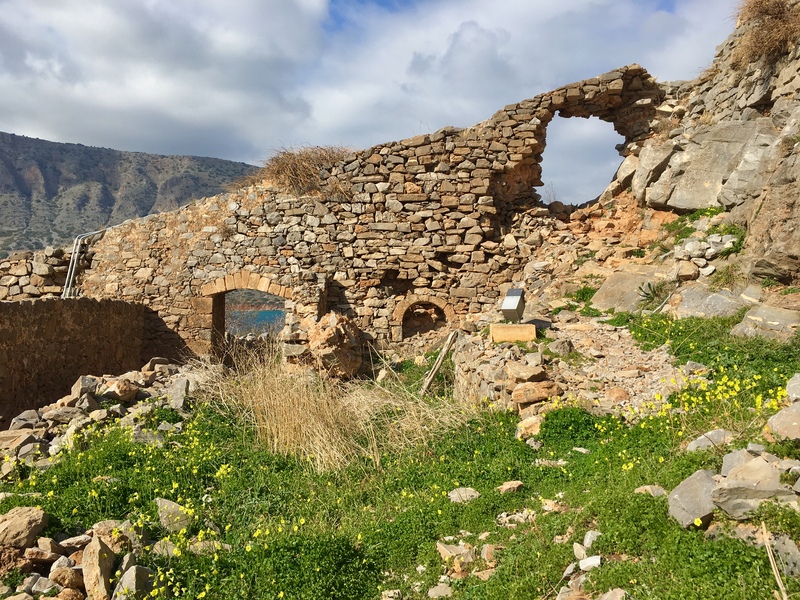 I felt like a kid again as I crawled through holes in the bricks, ran beneath lush olive trees, and meandered through series of stairs, meadows, and rubble piles to reach the highest point on the island. I had so much fun. 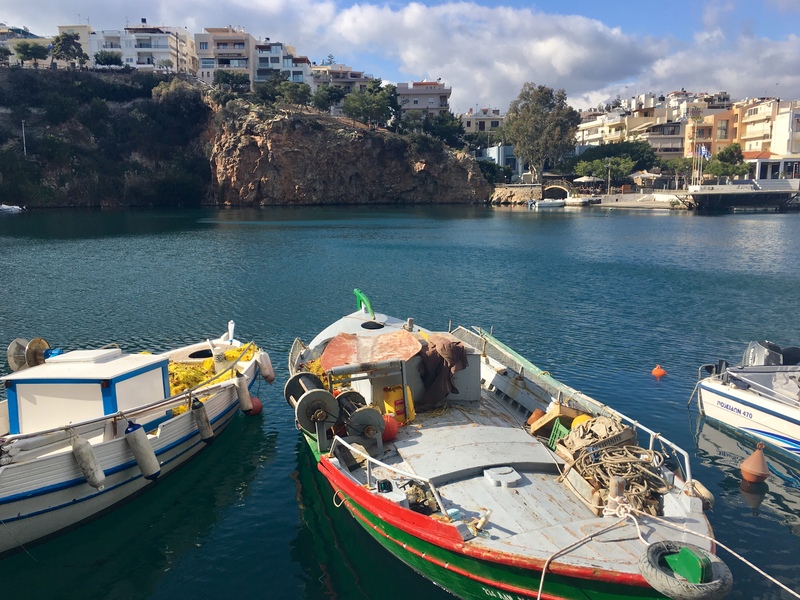 We sailed back to Crete and drove a short distance to the city of Agios Nikolaos, where we ate a waterside dinner before returning to Heraklion. Can you believe this is still Day 2 of Crete ??? Because I couldn’t !! 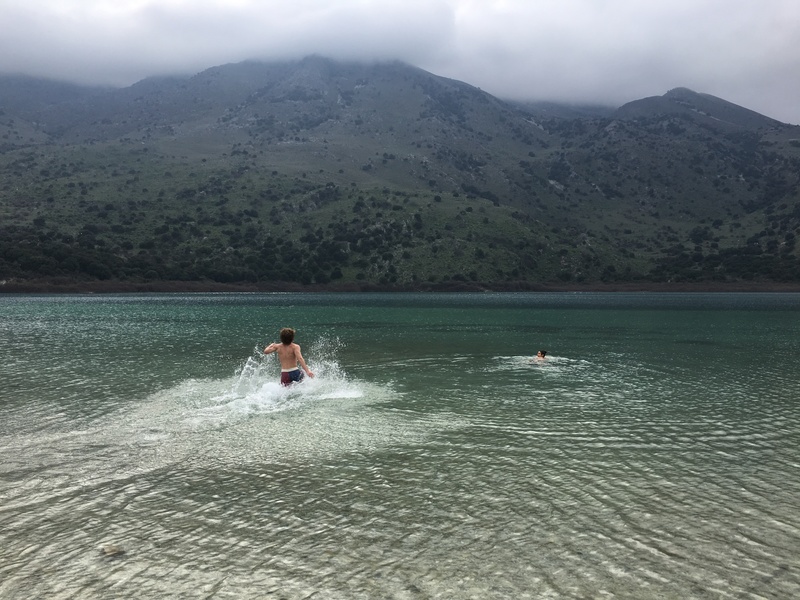 The following day was almost as eventful, with stops at an ancient palace, a pottery shop in the village of Margarites (where we got to watch an incredible pottery wheel demonstration), Lake Kournas (a few people were brave and swam in the cold water), and another beautiful port town for seafood and dangerously good frozen yogurt. That night, we boarded the ferry that took us back to Athens for Week 2 of our “Extended Excursion” to Greece. 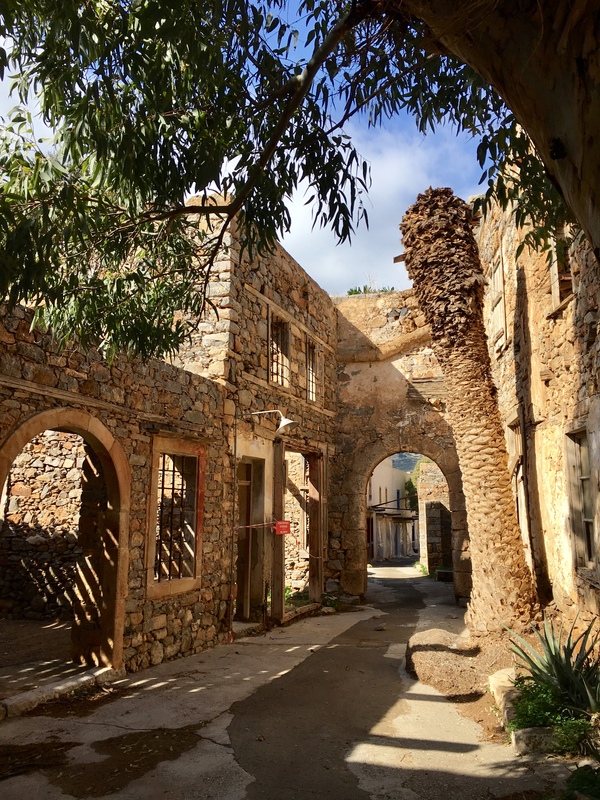 I was — and still am — so sad to leave Crete. It was honestly one of the most beautiful places I’ve ever been. 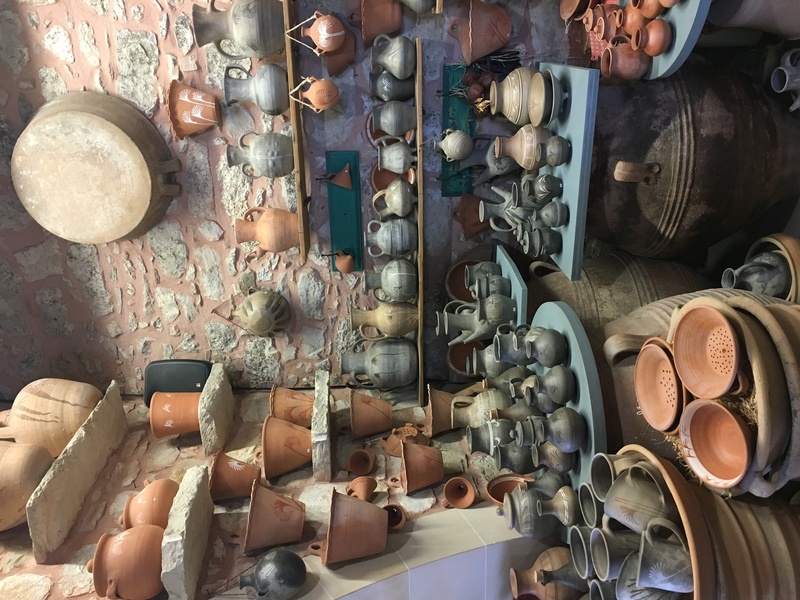 And, though it was exhausting to have such packed days (even this very long blog post is skipping over so much), every stop was absolutely incredible. 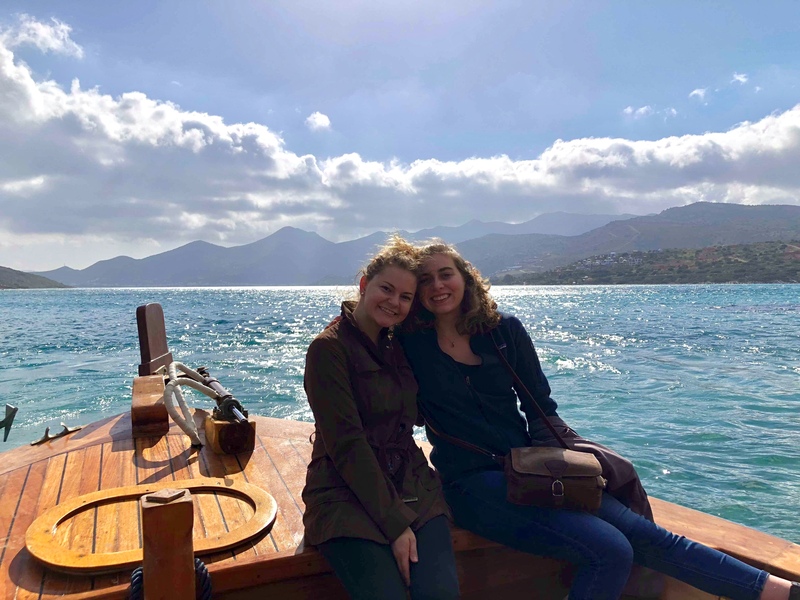 Traveling with SIT is enriching the experience in so many ways; I’ve gotten to see so many places I never would have known to visit, without having to worry about travel logistics, and with a group of 15 really cool people. It’s seriously u n r e a l.
I’ve got class tomorrow morning, so it’s time for me to sign off! 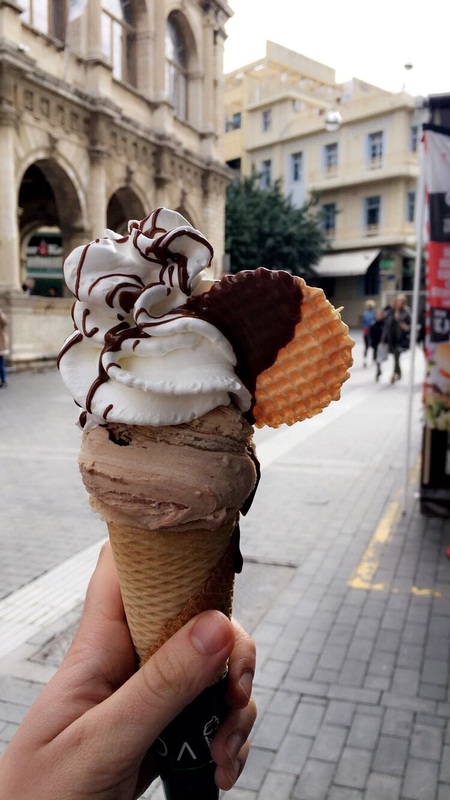 Go to Greece. Just avoid Swiss prices by l e a v i n g. Everything is crazy cheap here. Very effective !!! Tune in next time to hear about Athens, classes, falafel, and whatever else this week will bring! This entry was posted in Uncategorized on February 21, 2018 by emadifruscia. Excellent Ema and good nauseated travel tidbit!